Connect with your customers – connect and engage with your customers on a regular basis to increase overall awareness of your brand among your audience. Providing your customers with valuable information will increase your brand’s top-of-mind awareness and contribute to increasing brand loyalty. Be consistent – provide a consistent customer experience across all lines of your business to help increase brand loyalty. Ensuring consistent experiences will increase your customers’ trust in your brand and will improve your brand’s credibility with both contributing to higher brand loyalty. Personalize your customer experiences – analyze your customers’ past behaviors to create personalized experiences between them and your brand. It will differentiate you from your competitors and prove you care about your customers. Creating personalized experiences will increase your consumers’ emotional connection with your brand and lead to higher brand loyalty. Utilize these techniques to help gain top-of-mind awareness among your consumers and to build brand loyalty. 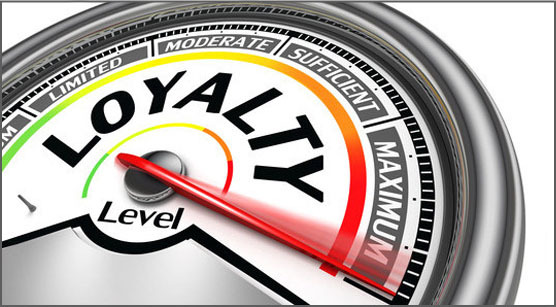 Still having trouble building brand loyalty? The Harmon Group can help. Our team can analyze all aspects of your business to develop the right strategy to increase your customers’ brand loyalty. Contact us today to get started.